Each and every individual tends to have serenity and tranquility in his mind and that is why they plan for a vacation to a place, totally distinct to their surroundings. The change in place could have a whorl of effect on their mind and their aim to rejuvenate their body and soul is fulfilled. While some people travel alone, some take their family with them. What if you family consists of a pet animal? Would you leave it alone in the house? Or would you hire a pet-sitter to take care of it while you go? You could do a hoard of things while you decide to leave it. You could give it to a pet agency that does care for your pet while you travel but can’t be sure that they would treat it in the stipulated manner. How about giving it to your neighbors? Well, firstly they might be resilient to accept it and even if they do, you can’t expect them to have the same loving and caring behavior. Under these conditions, you have a brilliant option of taking your pet to travel with you. The trip would have a magical effect on the mind of the pet and its faith on you will surge high. Here are some useful tips that you could use to make the journey with your pet utterly successful and pleasing. Making plans for the journey is essential as the size of the animal would obviously affect the trip. You should collect all the information about what are the services offered by different pet carriers and what are their schemes. Pets Travel Scheme (PETS) is a service that transports animals. While using this, be sure that the carriers are approved and the routes are authorized. Also, inform the carrier beforehand if your pet is a guide dog or an assistance dog so that they could make arrangements for them. 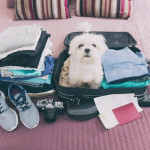 You have to make your pet accustomed to the conditions of traveling while you plan to take it on a flight. Be sure to offer it a healthy diet at least 2 hours before the journey so that it does not become sluggish while traveling on a full stomach. Make sure that water is available for the pet all the times. Take him to the toilet just before boarding so that it does not feels restless amidst the journey. 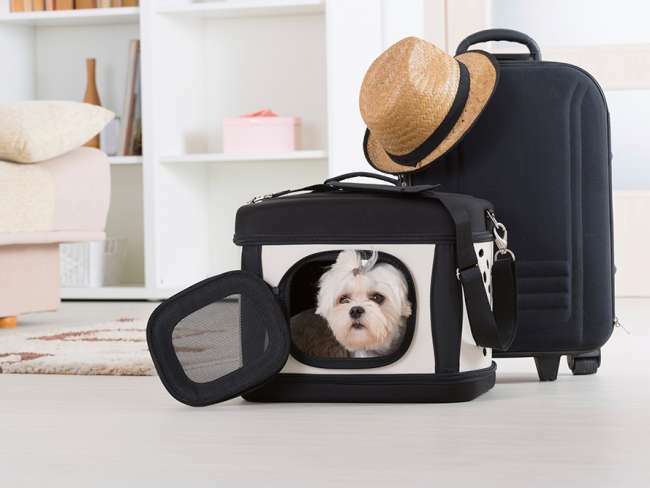 If the carriers offer to take the pet encased, practice the same in the house so that your pet becomes accustomed to the flight conditions. A very important factor is giving a tranquilizer to your pet. It is generally not recommended to use such materials unless the pet is utterly resistant to the conditions of travel. Make sure to get information about the drug and its effect on the pet. The journey could have varied effects on various pets. It is to be made sure that the pet has neatly settled with the encasing, it has been contained in. There should be proper ventilation in the case so that moisture and heat do not affect its health condition. The pet also requires water constantly and be sure that it is supplied to the pet at stipulated times. As a matter of fact, dogs are highly susceptible to the rising heat and could be heavily affected by it. Under these conditions, the problem of heatstroke occurs, which could decline the health of your dog while in the journey. Dogs may start panting when the temperature rises above the conditions they are used to. They may salivate more, breathe heavily and would get disconcerted. Overheating of a dog’s body is a major problem and as a result, the tissues of the body start rupturing. Under extreme conditions, the dog may go to coma or even die. As an aid to this, always keep track of the temperature conditions your dog is subjected and even if a slight panting and breathlessness occurs, give it water to drinks and spray water on its body. Contact a vet as fast as you can. While you drive a vehicle, the pets that you have could distract you. Therefore, it is recommended that the pet you take to travel must be kept contained so that your driving is not disturbed. If they are kept loose, make sure they do not escape through the open windows. If they are kept in the luggage compartment, there should be properly ventilated conditions with no space to escape. Also, keep a supply of water and ensure optimum temperature conditions while traveling. Your journey could comprise of a sea voyage and you could take your pet with you, but with specific directions. Make sure to reach the place well before time so that you could get a good place. You could make your journey at night while the temperature is cooler. It is essential to inform the officials about your pet so that they could provide you suitable arrangements. Give your pet enough food and water and ensure a regular supply of water while the journey is on. If the journey tends to last more than two hours, be sure to check its toilet conditions and make certain the policies of the company while it is contained in a container. 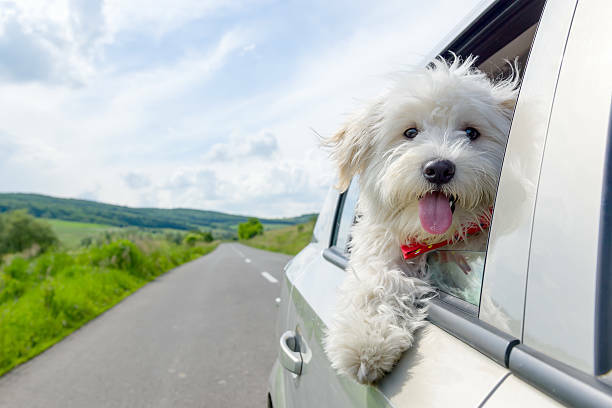 Your pet remains with you while you travel so keep them well in your vehicle. 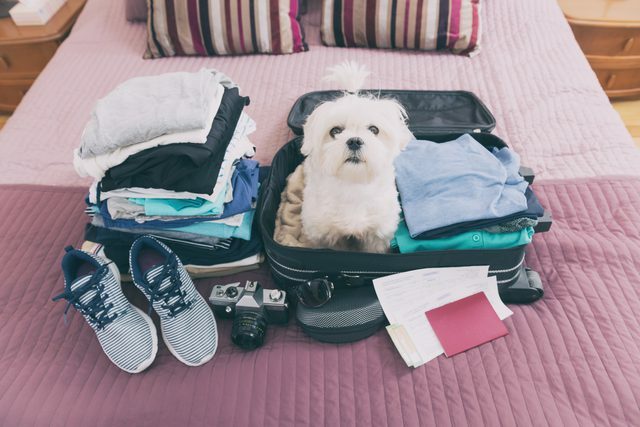 Very small dogs or cats could be kept in a container while traveling. The voyage consists of traveling at high altitudes and therefore, it is required to take special care of the pets. When you book your tickets, inform the airline services about the pet and check their conditions about a journey. The International Air Transport Association (IATA) Live Animals Regulations offers some laws and you have to fulfill these for the journey. Get information about the containers they keep the pet in and also make sure that your pets get an adequate supply of good food and water. Also, they may restrain certain pets from traveling. You could get more information about these on their stipulated websites. Keep all the paper and documents up to the mark that relates to your pet’s travel. You could need these any time amidst the journey. Generally, your pet’s journey would occur contained and for this, it is to be made sure that the container which is used is of appropriate shape and size and meets all the requirements of your pet’s comfort. It should be big enough so that the pet could stand, sit and lie down in a placating manner. The design of the container should not hurt the body of the pet. It should not allow the pet to get its paw or head stuck. Rather, it should be utterly ventilated, have a constant supply of water and should have proper bedding, so that your pet could lie assured. When the journey is short, lasting for less than three hours, a single-time care would be enough for the journey but when the trip tends to last for more than or equal to a day, you have to be very careful about your pet’s security as many pets would not love the notion of being contained for such a long time, especially if it is young and vibrant. 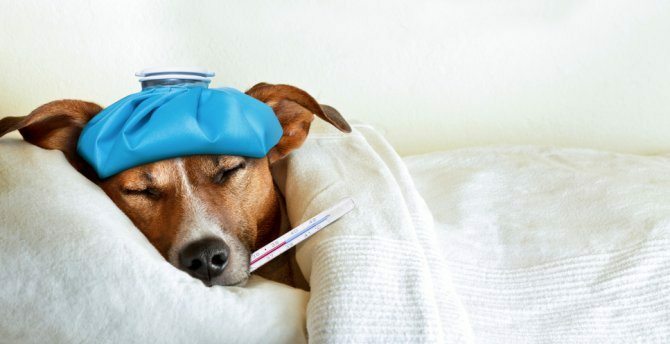 It is your responsibility to make your pet familiar with such conditions before, so that its energy and stamina may not prove to be a bane for him. Following all the stipulated norms and above-mentioned conditions, your journey with the pets could be supremely enthralling and you could have lots of long-lasting memories. When you believe that your pets are your family members, they should also get to enjoy with you as your family does. Do not forget to take down memoirs in the form of photographs so that when in future you take a look at them, you could cherish the moments and also commend your idea of taking your pet with you.